Global leader in safety and security door hardware manufacturing Allegion has strengthened its team with the appointment of a new commercial director and senior quality manager. Allegion, whose UK head office is based in Aston, Birmingham, has brought in Marc Lenaghan to manage UK, MEA and Turkey regions’ commercial activities, while Mark Yearby has joined the team to drive quality improvements for the UK/EMEIA region. Marc joins from Crown Paints, where he held the role of commercial manager for international sales. Previous to that, Marc worked at Pegler Yorkshire for 24 years, starting out as international sales manager and then advancing to international sales director, working across a variety of regions including Europe, South America, Middle East and Far East. 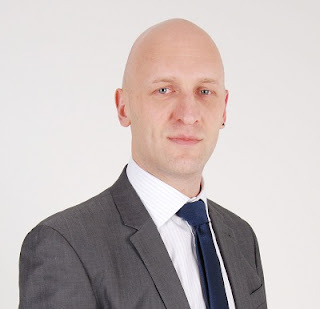 With over fifteen years of international and commercial sales experience, Marc’s primary role will be to develop and implement growth strategies to generate sales and increase market share in the UK, MEA and Turkey, where the latter two represent huge growth potential in the construction and architecture sectors. Marc will also be using his leadership skills to drive demand creation through specification and marketing communication strategies across these regions, in order to bolster Allegion’s brand positioning in the market. As a quality control specialist, Mark will take on the role of senior quality manager and will be focused on improving quality standards within the UK/EMEIA regions. Mark has held various roles across high profile global companies including the likes of Aston Martin Lagonda, ZF TRW and Schneider Electric, and has accumulated over 15 years of experience in the quality control and engineering field. Mark will be responsible for driving quality improvement processes and managing relationships with Allegion’s suppliers, plant leaders and operations managers to improve the quality of Allegion products. “It is an incredibly exciting time for Allegion at the moment and our confidence in the future is demonstrated through the recruitment of Marc Lenaghan and Mark Yearby, both of whom possess huge amounts of talent and experience. 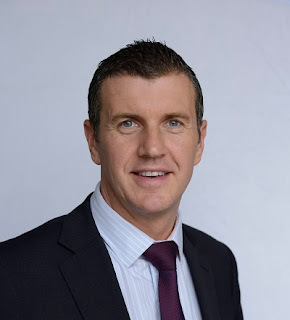 “We are extremely pleased to announce Marc Lenaghan as our new commercial director and having had a fantastic track record in many different regions we are confident his experience will prove invaluable for us in the UK and in the growing markets of the MEA and Turkey.